If you’re planning a barn conversion, loft conversion, or demolition/refurbishment, then your planning officer has probably asked you for a bat and barn owl survey (also known as a bat and bird assessment). CEC undertakes bat and barn owl surveys throughout the year, across Cornwall & the Isles of Scilly and Devon, with our fees starting from as little as £188 (+ VAT). A bat and barn owl survey will be carried out by one of our specialist bat team, who are all fully licensed to survey for bats, barn owls and nesting birds. The surveyor will visit the site to search for bats and signs of bats within and outside the building(s) in question. 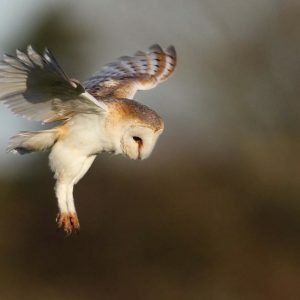 They will also look for signs of barn owls or other nesting birds. Our surveyor will need access to as much of the building as possible: e.g. roof voids and rooms in unoccupied buildings. In some cases it may not be possible to access all areas, for example if the flooring is unsafe. The building should be left in its original condition before our visit (bat droppings will often fall to the floor and if a room is recently cleaned, such evidence will not be apparent, and we may need to do more surveys to determine whether or not bats are present). Your licensed bat ecologist will be able to discuss with you the likely implications of the survey results for the proposed works, and any further work that may be required, either to rule out the presence of bats, or to gain more information about how bats use the site to inform the design, planning application and, if necessary, a protected species licence. The survey details and results are written up into a brief report along with our recommendations. Where the report details that there is no evidence of bats or barn owls, and there is low likelihood of their presence, you can submit this report along with your planning application to inform the planning officer. Further surveys required will usually need to be completed before you can submit your planning application to the local authority. 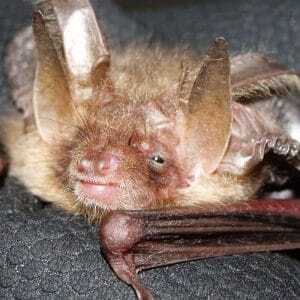 These might include a bat emergence survey and/or remote monitoring, or to inform the significance of any impact on bats and whether or not a Bat Mitigation Class Licence or a European Protected Species licence will be required before works may commence.